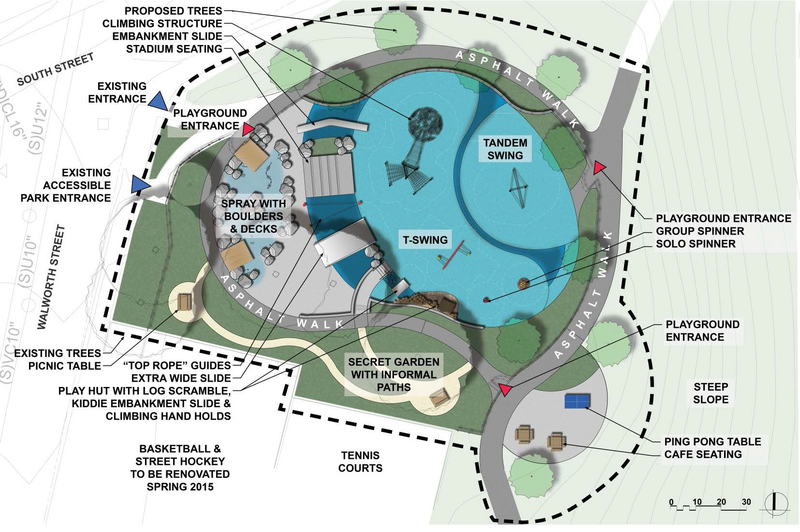 The proposed design for Fallon Field’s playground is clearly a step forward from the existing playground. Its use of an embankment to add play value and the water feature’s thoughtful design will be welcome additions to the neighborhood. It is also clear that the designers have incorporated community feedback into the design, and are mindful of both our need for better play options and the (primarily budgetary) constraints under which they are working.